Rob Carrick of the Globe and Mail is one of my favourite finance writers. Back in March, he had the audacity to release his latest book, How Not To Move Back In With Your Parents, during income tax season. As such, I wasn’t able to read the book until recently, but, as they say, better late than never. Rob has been kind enough to provide me with two copies to give away to readers (see the details at the end of this post). The book is promoted on Rob's website as a book that speaks not only to late teens and 20/30-somethings, but also to their parents. Rob states “There’s a lot parents can do to help their kids develop good financial habits, and to strategically assist them as they graduate, move into the workforce and start a family”. As a father of a 22 and 20 year old, I was intrigued by the book’s premise. I just finished reading the book and quite enjoyed it. Rob is blunt (a trait I certainly admire) and I really appreciate his no-nonsense, give it to them straight-up approach in providing advice to both parents and their children. While his approach would seem to resonate with parents of my generation, Rob also seems to have a finger on the pulse of the younger generation, which is reflected in his humorous and informative case studies. Personally, I think Rob may be slightly ambitious with his dual objective of speaking to parents and young adults. It is not that I don’t think he does an excellent job in reaching both audiences; I am just dubious that the younger audience will take heed until they have made many of the mistakes he tries to save them from. I know that when I try to give my son financial advice, it is like talking to a wall, a wall that has eyes that roll up and down and I know a little bit about finances. Hopefully, I am wrong and young people have/ will embrace this book, because it is definitely an excellent guide for them. Below is a chapter summary. I have noted my favourite comment Rob makes in each chapter. I just find them insightful, practical and several caused me to chuckle. Chapter 1: Affording College or University – “Unless your parents are okay with you being loaded down like a mule with student debt, they should be paying as much attention to RESPs as to TFSAs and RRSPs”. Chapter 2: How to Handle Debt, Both in School and Afterward – “Shrewd handling of credit is one of the things that defines a financially successful person”. Chapter 3: You and Your Bank – “Banks are basically stores that offer financial products for sale. They are in business to sell you stuff, not to be your adviser, your partner or your friend”. Chapter 4: Saving, Budgeting and What to Do if You Have to Move Back Home – “A little parental support at a key moment can help position you for a lifetime of success”. Chapter 5: Looking to the Future: RRSPs and TFSAs – “A moderate, steady approach to retirement saving is the best present you can give your future self”. Chapter 6: Mobility: Or, Cars and You – “Stay car-free as long as possible after you graduate”. Chapter 7: Buying a Home – “Renting can be the shrewder move than buying if you cannot properly afford the full cost of buying and owning a home”. Chapter 8: Weddings and Kids – “Arrange the best wedding you can afford”. Also, I could not resist this nugget on engagement rings that probably alienated half the females reading the book: “Men, don’t buy that crap about spending 3 months’ salary – spend what you can afford and remember that you can always buy a nicer ring later on as an anniversary present”. Chapter 9: Insurance and Wills – “Young adults starting a family have a lot of expenses and term life is the most economical way to provide for a family in case of disaster”. I am going to give away one free copy of Rob’s book to both a young adult and a parent. To enter the book giveaway, in the comment section below, please provide your first name and the first initial of your last name and identify yourself as a parent or young adult. Then, either provide a comment on the blog post, or give me your best financial tip for a young adult from a parents perspective; or if you are a young adult, the best tip you would give to another young adult. For my more social savvy readers, you can tweet your comments to me, including the hashtag #BluntBC. I will announce the two winners next Wednesday on my blog and twitter account. I am a young adult! My advice would be to make a monthly budget and stick with it - you will be surprised at what you spend your money on once you start keeping track. Emma H.
Like that advice, unfortunately most people dont like making a budget, let alone keeping to it. I like anonymity more than I like free books. Glad I got married when I did... back "then" it was only 2 months salary. I'm not sure when this changed, but maybe it's time to look into some stock of the diamond hawkers? This is interesting, i had a book giveaway before where u just had to email me, I got like 50 entires. Now when people have to comment, I get only 2 comments. Interesting ! Hey Mark. Good advice. I'm surprised that the book and nobody else here mentioned to maybe BUY the condo that a son / daughter can use when they attend school. It saves approx $80K in rent and chances are it will increase in value over that time. And anon should note that only FOOLS buy diamonds... Diamonds are a social convention for weak minds. I'm a parent of two little ones, but also not long out of young adulthood, being in my early 30's (still there?). The best way I ever saved money was to use a second bank account. Transfer as much as you can to that account, and leave it there until you really need it. Decide how much you think you need left in your current account until the next pay day / loan cheque etc. to figure out how much to transfer out. Then transfer out another $100-200 because you probably over-estimated luxuries. Much like the 'pay yourself first' idea. Even if you use the account to cover future (known) expenses, like future months' rent, etc - keeping the balance away from your prying eyes at the ATM directs a more careful focus to spending. It may be that you need it for travelling etc., but had you not used this account, dependence would be the only other way to enjoy an 'independent' trip. Best tip as a young adult is to realize that you'll generally be starting the ladder and getting a few raises and promotions as you gain experience. Get a raise and promotion? Great! - put it towards savings or paying down debt, don't let it creep into a more expensive lifestyle. The key to retirement is having enough savings to cover your expenses. If your expenses are low, your savings rate is higher and the nest egg you need to retire is smaller. Rob, interesting point. $80k in rent, wow where did you live at school, in the penthouse? My kids rent is $6-7k a year sharing a house with their friends. So maybe you are assuming at least two kids get the use of the condo. In any event, I have had a few clients undertake that strategy while their child attended University and it has worked out fairly well, especially these last few years of rising house prices and restricted student housing. Could be more risk going forward if interest rates spike. Chris, great advice. Its amazaing how ones lifestyle and expenses expand to pay raises. Hi Mark. Thanks for all you do for us and for highlighting Rob. I've found him to be a level headed wealth of information. I am the parent of a twelve year old so we are just passing from the "generalities" phase into more specific areas of finance. My one piece of advice to a young person today would be to fully embrace the power of compounding. Hey, if it impressed Einstein, it must be worth a closer look! I'm a young adult, working as a writer and editor. Salary is still not so great, but it has caused me to do two things. First, rid myself of as much student loan debt as quickly as possible. Secondly, I try to keep my expenses low — brown bag it, public transportation, etc. At the end of the day, financial empowerment is hard work. It has to be earned, regardless of what field of work you're in. Making wise short term decisions can make long term ones easier and more reachable. As a parent, the best tip i can offer is not to get sucked into getting a credit card during university. the banks hunt kids down and make offers when they are at their most vulnerable....and then often quickly max it out and spend years afterwards trying to free themselves of the debt. Perry, I like the financial actions you are undertaking; very wise words in your last sentence. Theresa, good advice. Rob gets into credit cards in his book also. As a parent, the key truism is "Live within your means". Of course, this is easier said then done. Also, how each person does this will be a bit different. Having said that, books like the one here are a great way to build good lifelong financial skills and habits that allow you to live within your means. As well, one of my favourites is the "I Will Teach You To Be Rich" book by Ramit Sethi. Ramit is quite young so it is a peer-to-peer book focused at a young demographic and is filled with workable techniques and excellent advice. The key is being self-aware and working on building the right financial habits from an early age. As parents, it is our responsibility to find various ways to build practical financial skills and good habits in our children from an early age. I'm a fan of David Chilton's advice - spend less than you earn and squirrel away at least 10% in a pay yourself first account. Have 2 young kids at home myself and certainly hope they learn from my experiences! Stewart S. Parent: parents need to encourage their children to adopt a discipline [saving versus spending – reasonableness and time frames and really NB is budget development] in line with and to achieve their financial goals and the parents must also help their children to achieve these goals. This sets a precedent for the future success. This is what we did for our two kids. @Paul--I agree with you regarding trying to build practical financial skills. I see far too many parents who absolve themsleves of this responsibility and become the bank of daddy/mommy. @ Steve- It really is simple in the end, isn't it. Spend less than you earn. But the I want, I need, my friend has attitude seems to win out. @Stewart- and did it work? I would say to live below your means and save the difference. Coming out of a dorm room, do you really need a penthouse? You don't have to get a dump, but get a modest place (keep sharing if necessary) and save as much as possible. I am a parent of 2 university-going kids. I have been pressing them to become financially educated before they graduate and embark own their own. I advise them to learn the process of personal financial planning/management now, before making major mistakes, and have showed them how to create a budget. Hopefully, when they start earning money, they will draw up a financial plan, and budget on a regular basis. @ Leanne- saving vs spending, a fairly common theme, but not one adhered to by most. Hi, I have a 12 year old and 16 year old. My advice is to give the kids their own clothing budget to manage. Thx Susan. It sounds simplistic, but I like the idea of starting with a budget for clothes and then moving the concept up to university spending. As a young adult, I'd say the most important piece of advice is "do the math" - it's too easy to spend and not figure out the actual cost of things, thinking "yeah, I deserve my smartphone and my 60 inch TV, I work hard all day". When considering a purchase, I price it out over a couple of years - the result is always very different from the initial "sticker price". Paul, great advice, but more importantly, great patience if u can wait up to two years to pull the trigger. Great Blog. 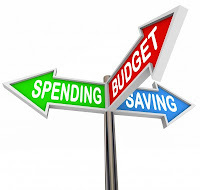 As a young adult just starting my career my advice is to keep a budget. It only takes about 15 minutes a month to categorize and add up all expenses on your credit card statement to see where the money goes each month. It also helps you plan for future expenses. There a ton of great free templates on the web to help you do so. Best tip for young adults-----don't eat out or buy expensive coffees etc. on a daily basis. Love to get a copy of the book! As a parent of (very) young adults, I'd be interested in reading the book. We try to teach by example so far, and by making sure we explain what we are doing. I think they need to know that owning a house is expensive, so that they will understand why a low-paying job = no house. There's nothing wrong with renting your whole life, either, they know people who do, but they need to see that home ownership is not something given to you by others. My advice to uni students is the same as given above: don't get a credit card. If plastic is needed for a job, get a card that MUST be paid in full each month. I think AMEX still has cards like this? Thx Bet, you are setting a good example. Nothing wrong with excel spreadsheet, however, you may want to purchase Quicken to do the job and provide greater analysis and other options.